Great article! I like how this makes the test approach transparent to the team. I think it would be interesting to see what each team member thinks each term means as well. It would be interesting to approach it from a different perspective though - instead of asking "what types of testing would we like to have", instead ask "what do we want to know about our product and when do we ideally want to find out the answers?" And then, "what can we do to achieve that?". That way we can expand the discussion to consider techniques outside of standard testing techniques, and really focus on what's right for this project. Does the visualisation become your living test strategy, or do you update a document based on the outcome? Do you have plans to extend the retrospective once the team have the shared understanding? 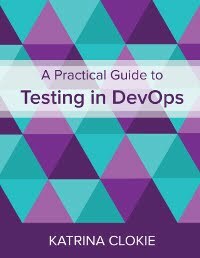 For example, to review the types of testing that were performed for different features, to discuss the circumstances that different types of testing are appropriate for, and to review what testing might have been missed when bugs escape the test activities? Katrina, I absolutely love your approach! I have done a similar activity with my teams in the past but I was leading the meeting and while asking the team for feedback, I didn't leave it to the team to fully define the activities. The next time I do it I will certainly follow your system. Katrina, excellent insights on T-Specialists, their specialization and their viewpoints!!. Indeed elegant. 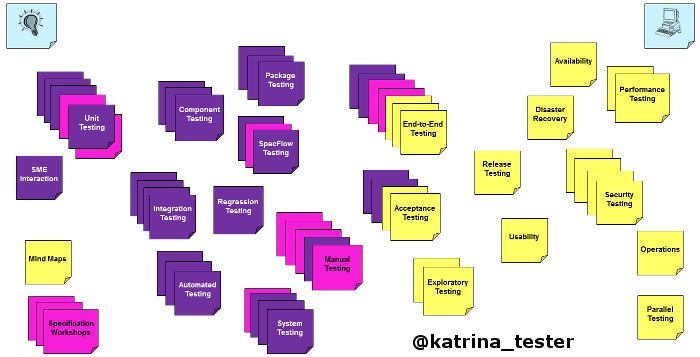 Further, "test strategy retrospective" is brilliant, innovative and creative concept wherein entire agile team will be aware of Testing and will be able to visualize precisely. Thank you for the insights ! !